If you want to know how to hire our lighting equipment, need a bit of background on the company, or are interested in why we’re convinced that energy efficient lighting is the future, our Greenkit FAQs are below! If you have a question that isn’t answered here, or you need to know more, we’d love to hear from you. I’ve had loads of emails about GDPR. How do I know that my data is safe with Greenkit? We’re in favour of the GDPR because it makes it easier for us to talk to you and for you to tell us how you want us to give you information. If you’re a Greenkit customer we will collect only the information we need to service our contract with you so that you can get information, kit and payment information easily and quickly. We will never, ever sell this data and only share it if we are legally required to. Once your customer account has been inactive for more than 18 months we will archive your data securely, so that we have it for our accounting records. If you have consented to our sending you occasionally marketing emails via the sign up sheet on the website or by any other means, we will only use this information to send you Greenkit news that is relevant, timely and of potential benefit to you. You always have the option to unsubscribe on every email we sent, and if you get fed up of hearing from us, which we hope you won’t, ring us on 0207 624 4021 or email and we’ll take you off the list right away. Greenkit was founded in 2010 by Pat McEnallay who has been working in film lighting his whole career. The company was initially set up to source energy efficient lights that would allow filmmakers to make great films sustainably. Since then there have been lots of great new energy efficient lights developed all over the world that offer high quality, cost effective and low energy options for DPs, Gaffers and Producers who want to work sustainably without compromising their professional standards. We are focused on the future of film lighting which we believe depends on working with filmmakers to find out what tools they need to do their best lighting. Our greenkit comprises a handpicked selection of lights and accessories that we believe represent the best of our industry. We also want to give you the best service of any rental house you work with, so if you don’t see what you need here or you think we can improve something, please let us know. I’m a new customer, how can I set up an account with you? That is no problem just email us and we will send you a new client form with terms and conditions. You need to complete and return the new client form and we will follow up the references you provide by phone or email. As a new customer we ask you to do three things before you take our precious kit out of the building. b) Pay for kit hire up front by credit card or BACs. Consumables and any extra transport will be charged after the shoot. c) Email us proof of hire insurance – it needs to be equipment hire insurance – insurance for your bike, penthouse flat or holiday does not count. What’s your policy on hiring to student filmmakers? We all have to start somewhere and we’d love to help you get started on your career in film. We believe that we have a responsibility to support the next generation of filmmakers by renting you the best equipment we can offer for a price you can afford. Just get in touch we’ll do you the best deal we can. Can I test equipment at Green Kit, some of your lights are new to me? Of course. We have a testing area in the building we share with Feral Equipment. They has a great range of cameras and grip equipment that complement our lights. Can you deliver equipment and how much do you charge? Sure, once you’ve set up a customer account we can get equipment delivered and collected. The costs depend on how much kit you need and when you need it. Don’t worry, we’ll agree a quote for this with you in advance. How do you decide what equipment Greenkit carry? We’ve been in film lighting for a while so we know you can’t compromise on quality. So we go to all the major shows and keep in contact with suppliers all over the world to find new products and to make sure they’re the very best in their class. We’re passionate about sustainable film-making so we choose the most environmentally friendly options – low energy, low emisisons, recycleable etc. And then we ask you, our customers, to test the kit and give us feedback about how it performs on the job. We want to know what you love about our kit, and what you don’t so that we can make sure we carry the equipment you really need. We’re proud to say that we’re starting to build a reputation for being the place to go for ‘environmentally friendly innovative kit’. We’re proud to say we’re often the first company to invest in new equipment, so join our mailing list and we’ll let you know when we do. Driving We’re within 10 minutes drive of the North Circular Road. Take the exit for Neasden, head straight over the roundabout signposted Willesden and follow the road down the hill and round the corner. Turn right at the lights at the junction with Willesden High Road, and right again at the mini roundabout 100 metres later onto Pound lane. Dalmeyer Road is the third road on the right, immediately after you pass B&M Superstore on your right. If you pass the magistrates court you have just missed the turning! Cygnus Business Estate is the third entrance on the right off Dalmeyer, it’s the second slightly scruffier estate! Unit 16 is the last unit on the right, opposite Astral Plumbing Supplies. By Tube we’re within a 10 minute walk of Dollis Hill tube station on the Jubilee Line. What’s so great about energy efficient lighting? Longlasting – LED bulbs have a life many times that of incandescents, and they never shatter on set! What is your policy on Insurance? We must have proof of insurance on any equipment being hired from us. We can recommend insurance companies if you don’t currently have one. You’ve given me a great deal, what can I do to support Greenkit? Please treat the equipment as if it were your own. Let us know how the shoot went, we want to know the good and the bad bits so we can improve the service we offer. We’re keen to help you promote your films, so send us details and we’ll spread the word with our industry contacts and through our social media channels. We’d love to add our logo to the screen credits and we’ll come and cheer at the screening if you send us tickets! And if you’ve hired a great light from us and had a good experience – tell your fellow filmmakers! We all live on the same planet and it needs all the help we can give it. What’s the difference between bicolor and ‘tungsten or daylight’ fixtures? Lights like the Kino Flo Celeb 200 and 400 or the Zylight where you can adjust the colour temperature on the fixture itself using a dial, we classify as bicolour. Some of these lights give you the option to select a colour temperature on the spectrum between tungsten and daylight. We’re calling lights like the Trucolor and the Minburst LED panels where you swap panels in front of the fixture; or the Kino Flo banks where you swap out bulbs; to change colour temperature tungsten/daylight. Of course some lights like the DLED 4.0 are available with a choice of daylight or bicolour heads. It just depends which option you prefer and which suits your set up better. Why do you still hire traditional film lights? Although green film lighting technology has come a long way, there’s not yet an energy efficient light for every job. Until very recently there were no high quality LED fresnels on the market, now there’s both the Zylight, and the Dedo LED. We’re confident that soon there will be an energy efficient option that matches the performance of all your traditional favourites. Until then we’ll continue to carry a small selection of traditional film lights, for you to hire alongside the greener alternatives. Got a product specific question? All product specific questions are located on that product's page. 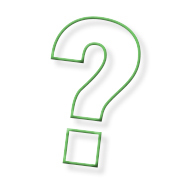 Visit our product page to see if your question has already been answered. Should you still need help after taking a look through these FAQs then please don't hesitate to get in touch.